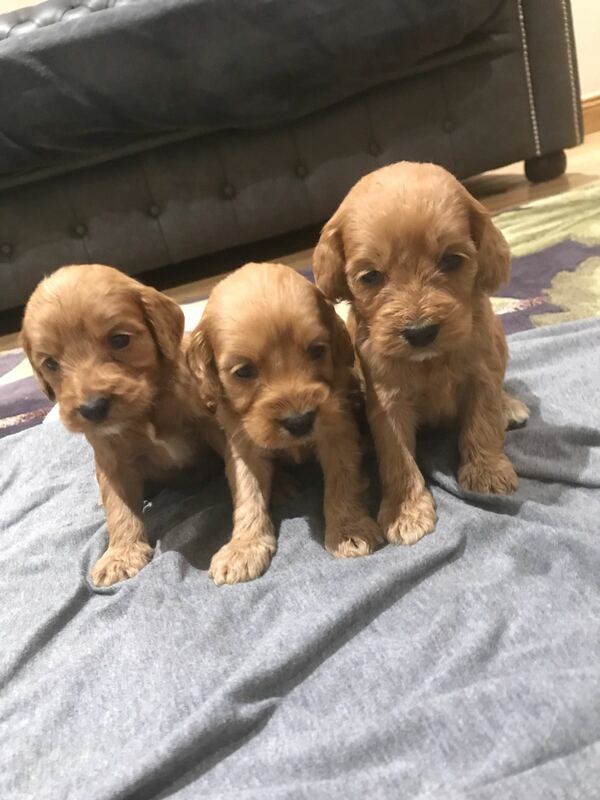 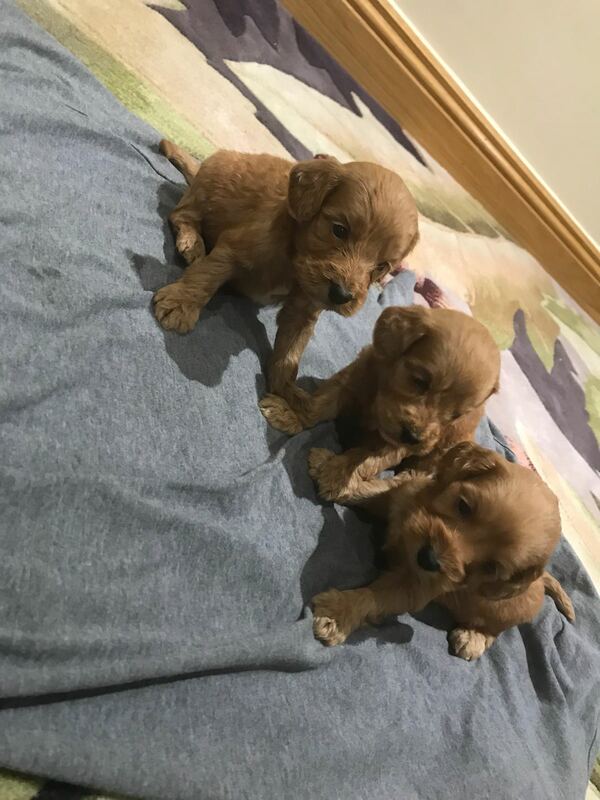 Here we have a lovely litter of 10 red cockapoo puppies we have 5 girls and 5 boys all Fox Red mum is a Full Pedigree Cockerspaniel and dad is a. 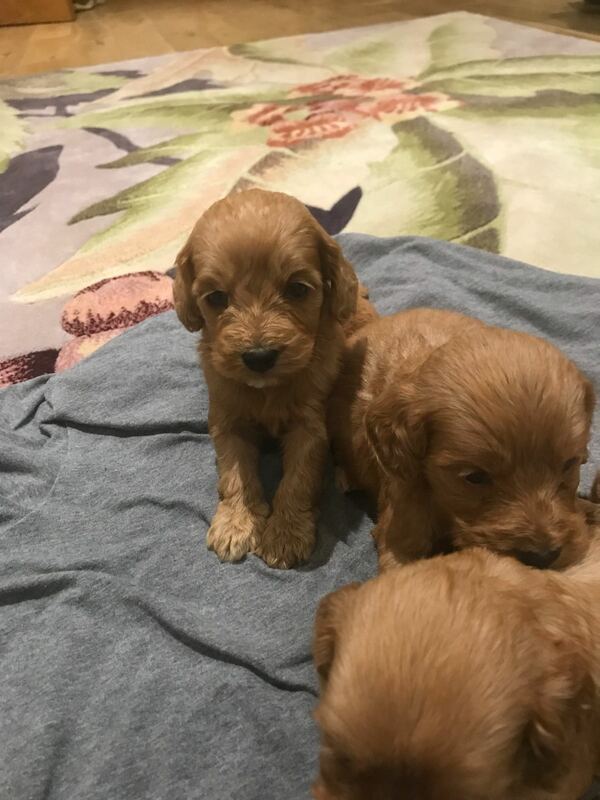 Full pedigree Kc Registered toy poodle Paper work can be seen mum has been a family pet since a pup all the puppies have been brought up in a family environment they are currently 4 weeks old so We are Currently open for Viewings they can be taken home in 4 weeks. 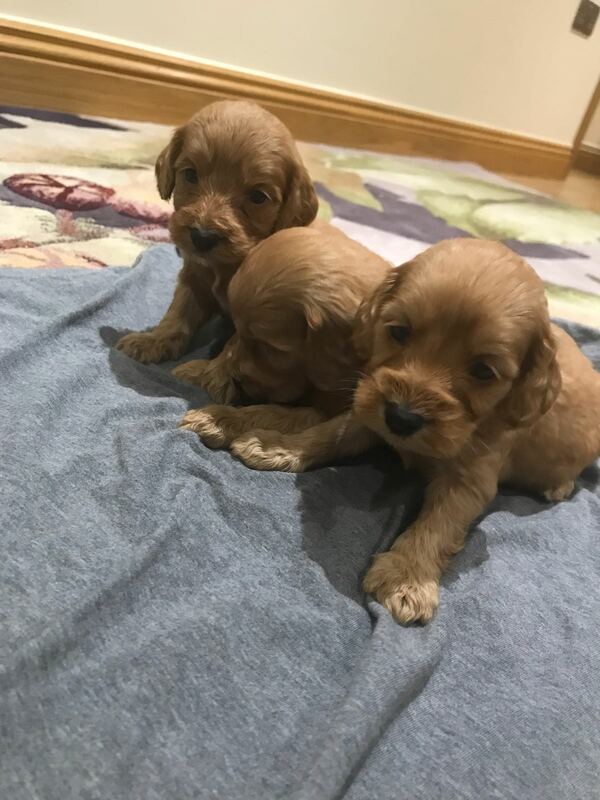 Pups have all been vet checked by our local vet and they are all perfect they have all been fleed and Wormed and will get there first Vacinations at 8 weeks old We would just need a £200 deposit to secure the puppy of your choice.